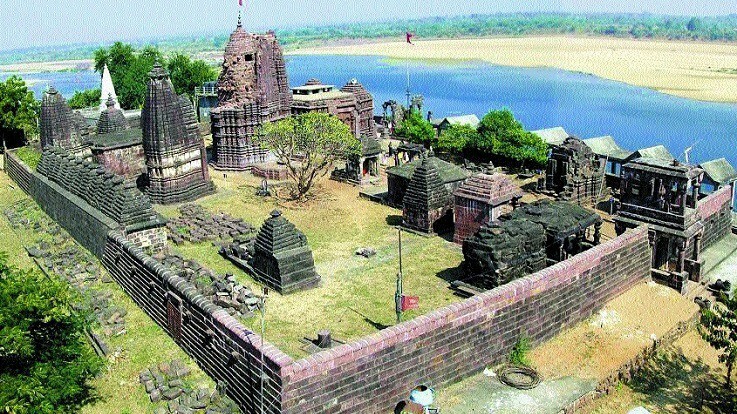 Markanda Mahadev temple stands on the banks of Wainganga River near Chamorshi town in Gadhchiroli District of Maharashtra. Built-in 8th Century CE, this beautiful temple complex is also known as Mini Khajuraho. 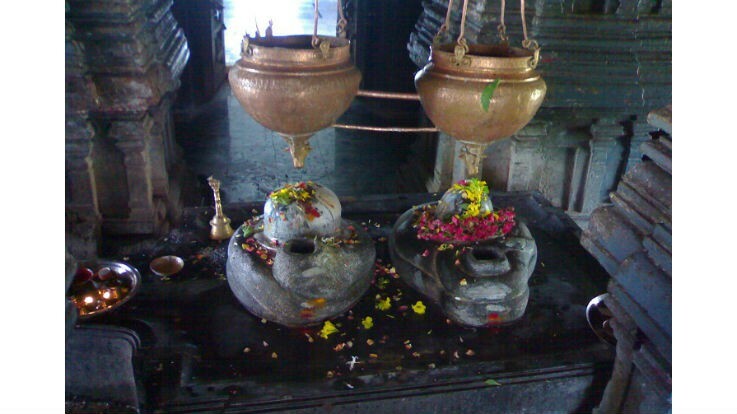 The presiding deity of the temple is Lord Shiva. Markanda temple complex is spread over 40 acres of land. The complex houses many shrines including the Nagarkhana, Varad Ganesha, a temple without image and a Bhavani temple. Unfortunately, most of the shrines are in dilapidated condition. However, the beauty can be seen all over this place. The construction of Markanda temple is attributed to the Rashtrakuta dynasty which ruled this region of country between the 8th century and the 12th century. This temple has many tantric images dedicated to the Shaivite cult. There are many intricate idols on the outer walls of this temple complex. Markanda temple is nearly 1200 years old. It is a group of nearly twenty- four temples which are enclosed with entrances on the river side, in the front. Some of these are in complete ruins, but the general effect is very impressive. These are the most picturesque group of temples which has no inscriptions to describe their age, but their style is similar to that of the Chandel temples of Khajuraho. Hence, they may belong to the same period of the 10th and 11th centuries. As per the legend, once Bibhisan, the brother of Lanka King Ravan fell sick. At that time Hemadpant, a Yadava, cured him. Grateful Bibishan granted him a boon. Hemadpant asked the aid to build temples. Bibishan granted the boon on a condition that the Rakshasas won’t work for more than one night at a time. Hemadpant agreed and he accordingly designed all the temples at Markanda, Bhandak, and Neri in one night. 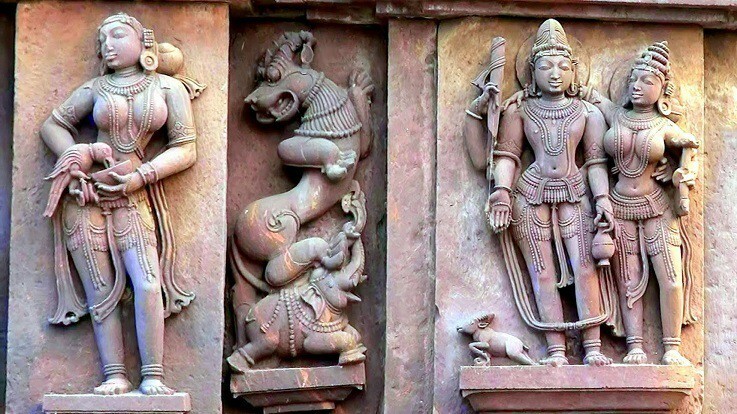 This is a popular folklore about the temples of Hemadpanti origin in this district of Maharastra. Hemadpant was Head of the Secretariat of the Yadava Kings of Devagiri, Mahadev, and Ramchandra. He was a renowned Sanskrit scholar. It is also believed that about 200 years back lightning had struck the temple and the upper part of the giant spire had come down on the roof of the 'maha mandapa' damaging it. About 120 years ago, one of the Gond Kings renovated the same. Thousands of devotees throng the temples during the Festival of Maha Shivratri and in the holy month of Shravan. By Road: Gadhchiroli district has well-connected roads to neighboring districts such as Chandrapur, Bhandara & Nagpur.  The town of Gadhchiroli is situated about 180 km from Nagpur and 80 km away from Chandrapur in Vidarbha region. It takes around two hours from Chandrapur and 4 hours from Nagpur to reach Gadhchiroli. Also, private luxury buses and private vehicles are available from Nagpur and Chandrapur to access the temple. By Air: The nearest airport is located at Nagpur which is 180 km away from the temple. By Train: Chandrapur is the closest railway head.